Youth have always been a vital part of Bethpage Presbyterian Church. The Church is called to nurture the spiritual lives of everyone, no matter how young or old. We seek to create an environment where young people feel accepted and nurtured in their faith. It is a vital mission of the church to assist our young people in building meaningful relationships by engaging in spiritual practices. We offer youth groups, service opportunities, and many other activities for youth. In addition, our younger members are included in the leadership of the church, as they are participants in committee work, with a voice in the programs and missions of the church in general. Youth group is a great way for youth to connect with each other and God. It is a time of fun, fellowship, and encountering God in new ways. 2018 Christmas Wreath & Garland Sale: Pick up for wreath and garland orders will be Saturday, December 1st from 1:00 until 2:00 PM in the BPC Pavilion. Souper Bowl of Caring: Due to inclement weather on Sunday, February 4th, the youth received an offering for the Souper Bowl of Caring on Sunday, February 11, 2018. Thanks to your very generous contributions, Bethpage received $333.32 for Cooperative Christian Ministry to help those in need in our community. Thank you for your support! 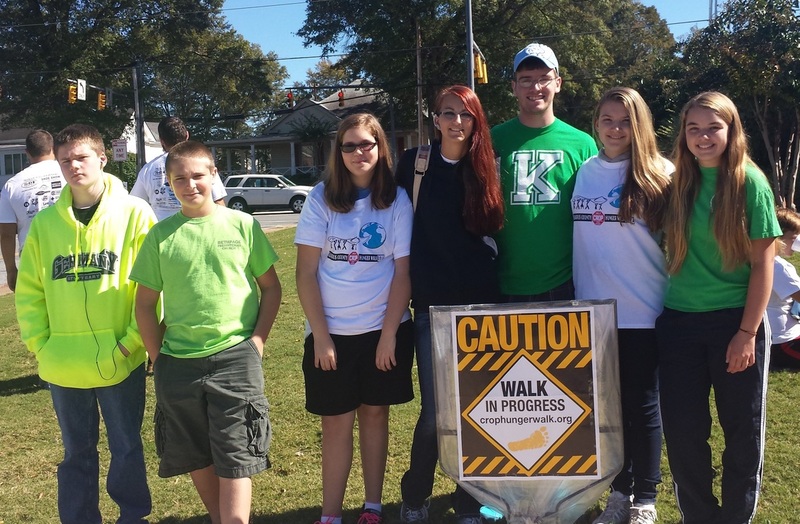 CROPWALK: The Senior High Youth Group have participated in this community-wide event sponsored by Church World Service. This walk is a unique response to the needs of hungry people in our communities and around the world . . . and the spirit of cooperation that results when people of all faiths join together is inspiring and invaluable!